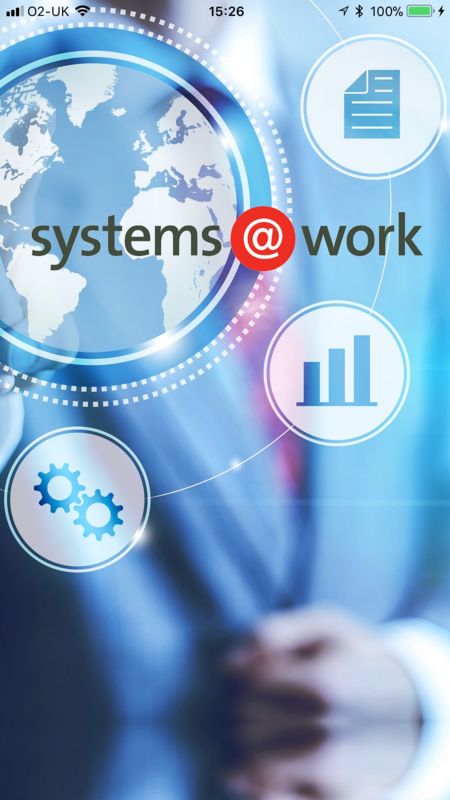 systems@work is delighted to announce the release of systems@work Software Version 6.1.10 for Infor SunSystems, Microsoft Dynamics 365 and Microsoft Business Central. Version 6.1.10 of expense@work, time@work and forms@work introduces a number of new features and also rectifies previously reported bugs. You may now, optionally, specify that Company and Company Name should be shown in lists of forms and timesheets for employees to authorise and review as well as in timesheet and form history lists. Where Accounting Period and Timesheet Period Analysis fields are specified as runtime parameters in Planning, Inquiry and other Profiles, you will now be able to select existing values rather than having to enter values such as ‘2018’ or ‘January. Additionally, Accounting Period and Timesheet Period Analysis values may be used as column labels as substitutes for Accounting Period and Timesheet Period in Planning Profile grids. Submission messages may now be included in Transmission Texts. Transactions may now be excluded from Multiple Invoicing based on Status. Timesheets are sorted (when this is specified for a Timesheet Type) only when a timesheet is opened or saved, not when a new line is created. A Form Type may now be defined as a default Form Type on Company. This is for use when forms are automatically created following image submission to an email address (requires additional program). Calculation values and Unit values (usually currency codes) may be set as runtime parameters in Profiles in the PSW. Open From date, Open To date, Open On date, Document Status, Current Status, Form/Timesheet Number, Form/Timesheet Type and Mobile Source may now be set as runtime parameters in Profiles in the PSW. You may now specify that the manual cross rate (exchange rate) override window, that by default opens during form transaction recalculation in the PSW, should not automatically open. This is a system-wide setting on System Parameters. When a form or timesheet is routed, by default, to a closed Employee, it is automatically re-routed to the Employee assigned to the role specified as Administrator Role on System Parameters and a message is sent to the Employee to whom the document belongs. Employee Groups may now be imported and exported in the PSW. Ledger Export allows you to specify that, when run from the PSW, an export file should be placed in a specific network location (alternatively or additionally to making it available for download by the user to his or her PC). You may now specify that a specific runtime parameter is mandatory in profiles in the PSW. You may also specify that only a single value may be specified. If you are rendering reports using Microsoft Reporting Services, then you must install a new runtime s@w_RS_Runtime_2018.msi which can be obtained from the customer web.Status is now available as a determinant (runtime parameter) of Accumulations. You may specify the number of decimal positions to which numeric values should be rounded in inquiry grids in the PSW. This ensures consistent alignment and legibility. Fields defined as time activity analysis values are now entered using a time picker. Following Save & Validate Form Header is displayed. Employee name is omitted from forms listed as forms at entry stage (since the Employee is always the current one). It is now made more obvious that synchronisation has completed. Instead of immediately opening the camera, the user may now choose whether to obtain an image from a device library or use the camera. Fields that are empty and disabled by Project or Expense Type are now not shown. The App can now support .png images. 5135 Maintenance no longer closes after Use Rates Web Service option is set to Yes. 5130 Employee Project Roles can no longer have more than one Default role when data is imported. 5121 Column width is now applied to the Date Analysis columns. 5119 Document Level Confirmation, Authorisation or Review no longer fails with exception when a Timesheet or a Form in a list is no longer available. 5118 My Skills no longer appear even if the Shortcuts option is not available in PSW Settings. 5112 Read-only authorisation no longer becomes unresponsive after opening a Linked Document. 5111 SSRS reports exported to PDF are now provided for download in the same window of Chrome browser. 5108 SQL Security around BackupEmployeeID parameter has been improved. 5100 Task Export no longer ignores errors during XSL transformations. 5097 Runtime Parameter for Dates supports NULL values. 5086 Correct font is now used for calculation of Header widths. 5081 Numbers are now correctly displayed in inquiry grids. 4993 systems@work App help can now be modified in PSW Reference Data. 4823 Form Control allows the assignment of a form only to an eligible Employee. 5120 White page with graphics no longer blinks during the addition of an image to a transaction. 5110 Numeric activity analysis values can now be deleted. 5109 Application no longer crashes if a non-validated Numeric Activity forms part of a Form header. 5105 Format of some disabled fields no longer differs on iOS devices. 5102 Date and time header analysis field values are now always retained. 5099 Application screens no longer flash too frequently when returning to the Home page after Authorisation of the last Form. 5091 Activity analysis values are no longer deleted when a selected Project is no longer available. 5088 Design of History screen is no longer different from Entry and Authorisation screens. 5083 List of Forms in History screen no longer show empty total when first downloaded from the server. 5082 Startup time of systems@work App has been improved. 5077 Form Header screen speed has been improved after a user returns from one of its rows. 5076 Transition between screens is no longer interrupted by a grey empty page. 5137 Grey bar on the bottom of splash screen on Android has been removed. 5136 Error Grid font size reduced on iOS. 5134 App no longer crashes when form is authorised from PSW in the meantime.